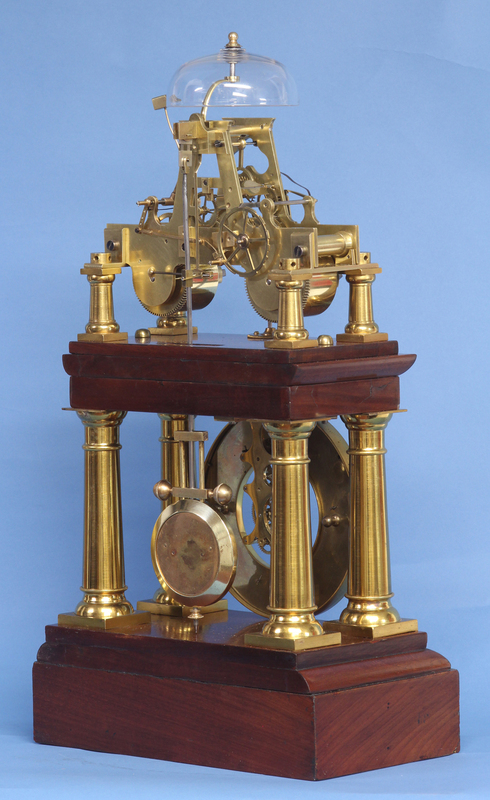 c.1880 Rare French Portico Clock with Turret Form movement. 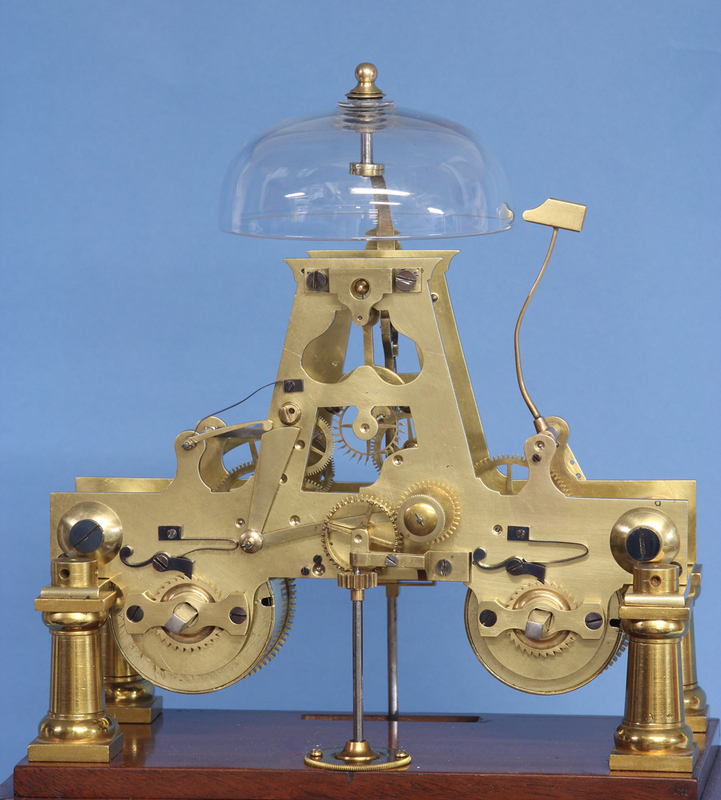 A late 19th century French mantle clock with the turret form movement and dial mounted on different planes. 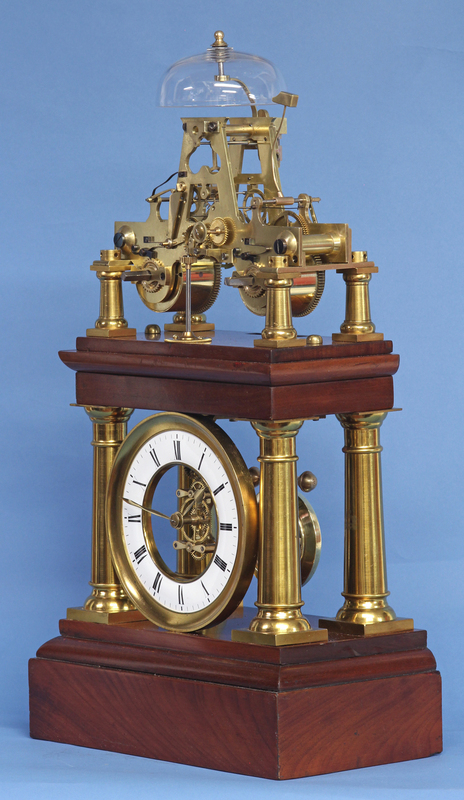 The gilt-bronze and mahogany portico style case has the movement above and the dial and motion work below set between the two front Doric columns. 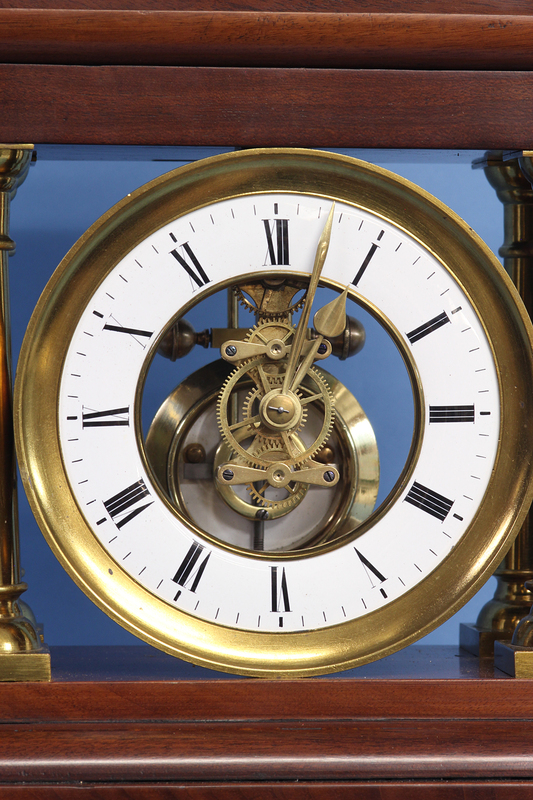 The white porcelain chapter-ring dial has black Roman numerals for the hours, brass spade hands and the motion work suspended in the center. 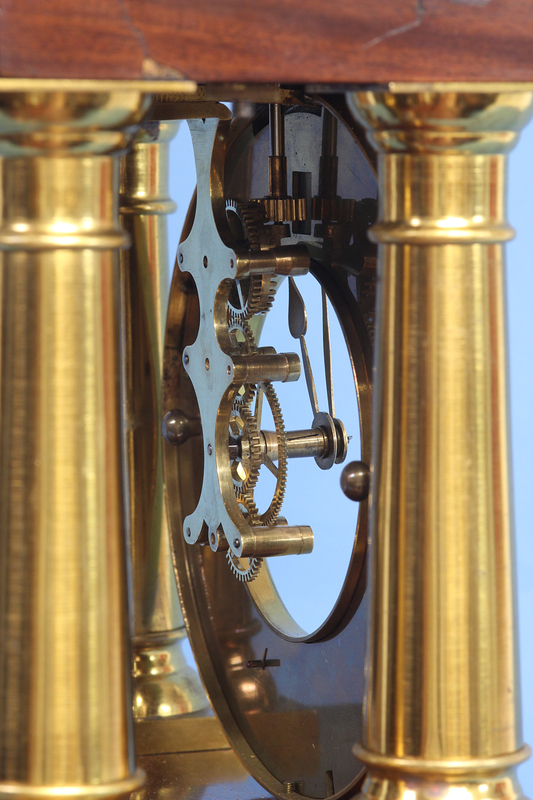 The eight-day time and strike turret form movement has large screwed posts, shaped plates, a Brocot style escapement, a compensating pendulum with a screwed beat adjustment, a knurled hand-set and strikes on a glass bell. 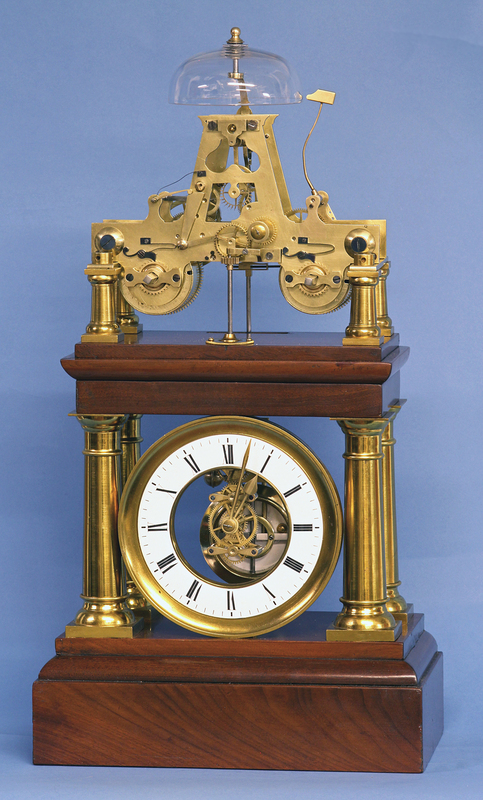 For a clock with a similar form see: ‘Skeleton Clocks’, Royer-Collard, pg.72. Size: 19 in. x 10 in.